The Panda Series collection is here with 4 great designs to choose from! Check out these styles in person at all Young Hearts boutiques and counters at major departmental stores!! 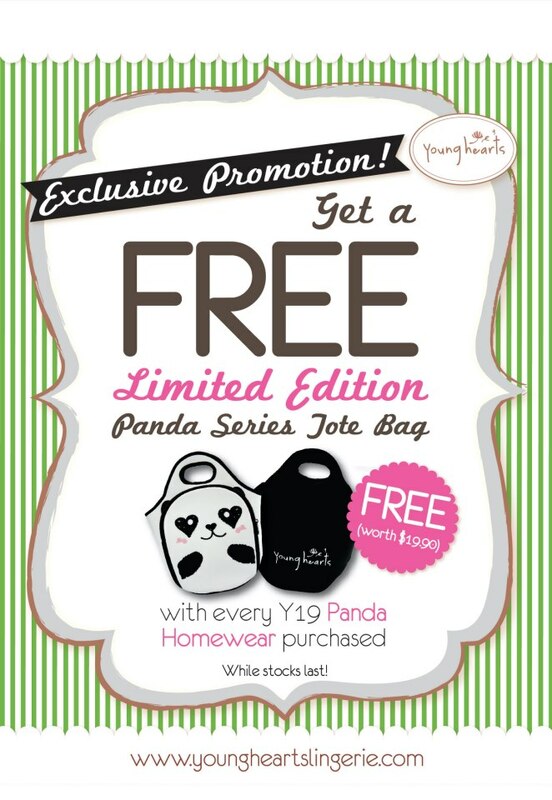 Receive a free panda series bag worth $19.90 with every Y19 Panda Series Homewear purchased! !